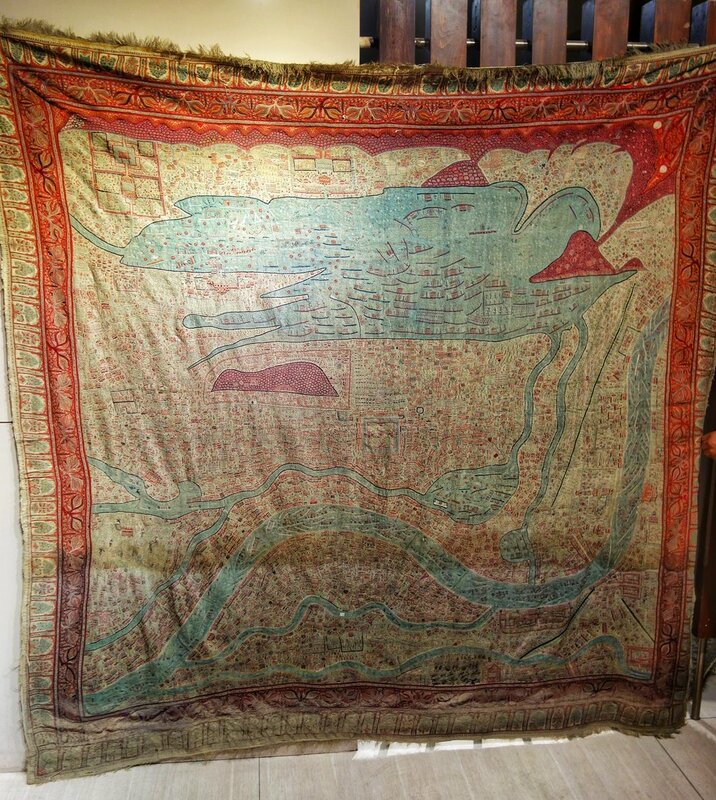 The amazing and exquisite Map Shawl of Srinagar. This Shawl took 30 years in the making. There are 3 or 4 such specimens in the world. And these were made in the late 1800’s. One was presented to Queen Victoria by Maharaja Ranbir Singh and is presently at the Victoria and Albert Museum in London. One more is with a Museum in Australia. One is with a private collector and this piece is at the Shri Pratap Singh Museum in Srinagar though it’s not on display as it needs some refurbishing after the Floods. 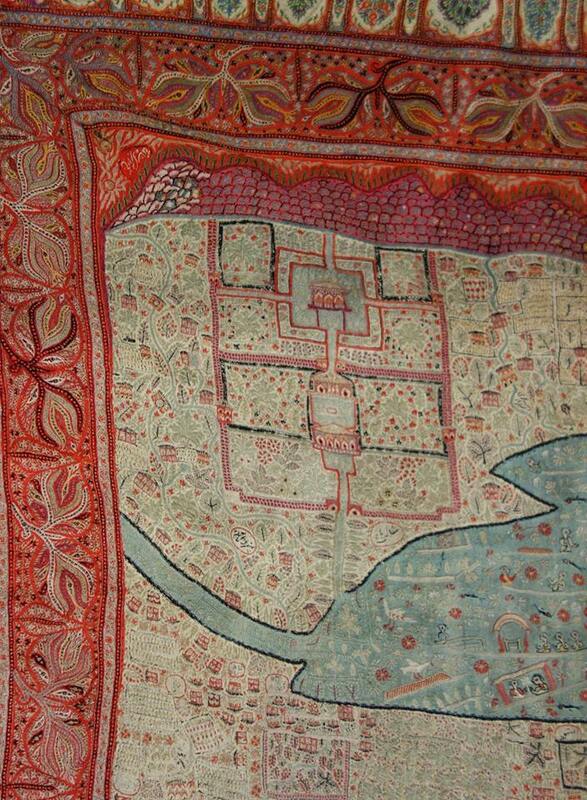 It would be one of the most expensive pieces of textile ever made if it would be put on an auction. I got a special session to view this absolute Masterpiece as I pestered the right people long enough to let me see this after the Gilgit Manuscripts and along with the Mammoth complete skeleton which was found in Kashmir. A part of the Gilgit Manuscripts is however now on display. Just that you know the old building of the Museum (out of bounds) was actually a Sumner er Palace of the Maharaja and is as mind blowing as anything you would ever see. The Maharajas sure had money and the craftsmen to deliver stuff which can’t even be imagined . Coming back to the Shawl. You can see the Dal Lake and the Jehlum. On the right the hill is the Shankaracharya Hill. On the top left you can see the Shalimar and Nishat Gardens. You can also see the Hari Parbat Fort and all the old bridges of the City. The detailing is so minute that there are Shikaras shown in the Jehlum and you can even see the individual eye balls of the people in the Shikara. Words cannot describe this absolute masterpiece of Kashmiri craftsmanship. Please do visit this Museum on your next visit and I’m sure you will be mighty impressed. I plan to cover stuff from this Museum in the next few days / weeks.